The focus is on bringing the rhythm of your music to life. 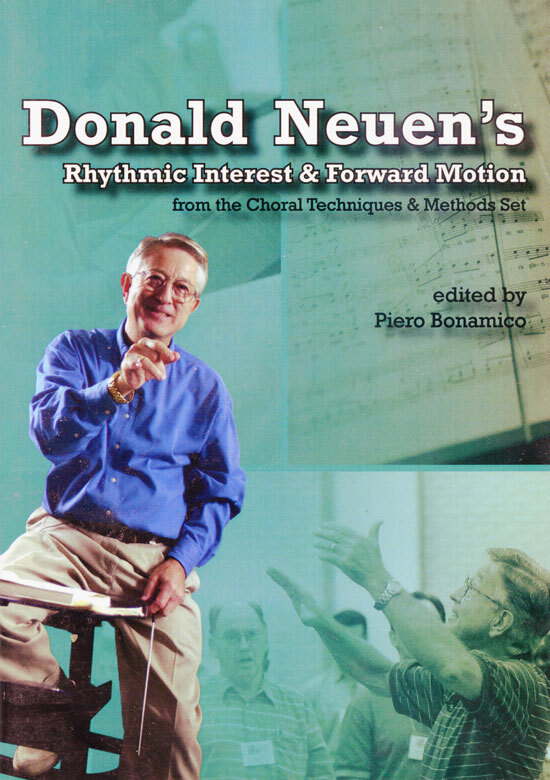 Volume five of the 'Choral Techniques and Methods Series' will teach you and your choir how to find and mark instances of forward motion in your scores. You will learn how rhythmic interest and the textual emphasis taught in video four go hand in hand. Adiitionally you will learn how rhythmic interest and forward motion are common threads in all great performances. Your singers will find all of the shows in this series to be clarifying and insightful. By learning the valuable information peresented in them, the members of your chorus will share a common vocabulary.